Is this more like a steakhouse dessert or a frozen TV dinner? Q: Is this more like a steakhouse dessert or a frozen TV dinner? 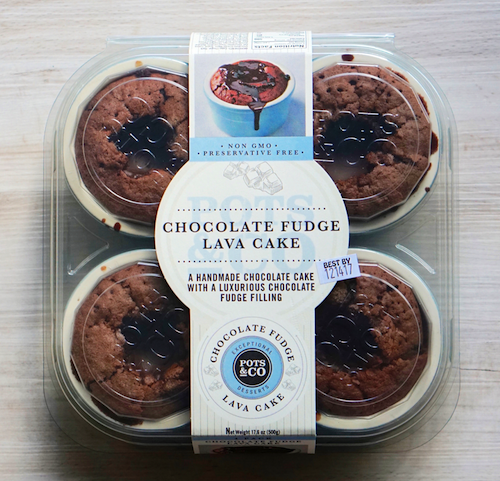 What do you think of when you hear “lava cake”? 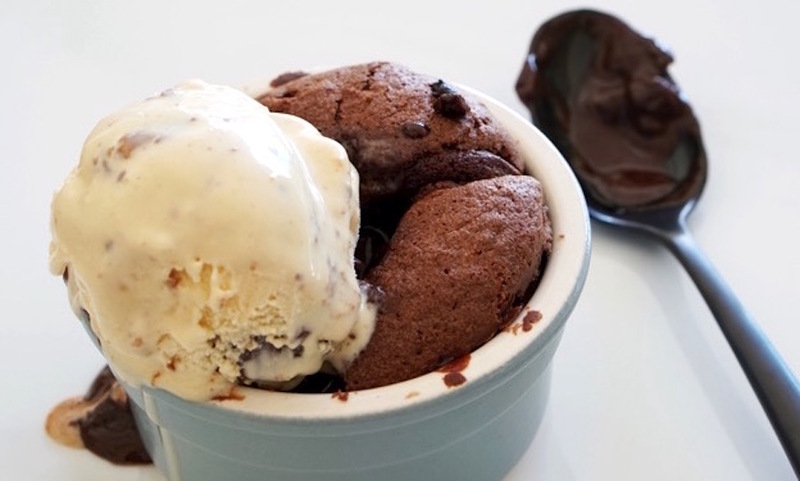 I think of ooey gooey molten chocolate oozing out of pucks of perfectly baked brownie. For me it’s an indulgence after a traditional steak dinner or special occasion. But more than once I've been sadly disappointed! Some of you might recall the era of microwavable frozen TV dinners. While the lava cake dessert was the best part of the tray, it never lived up to the decadent description on the box. 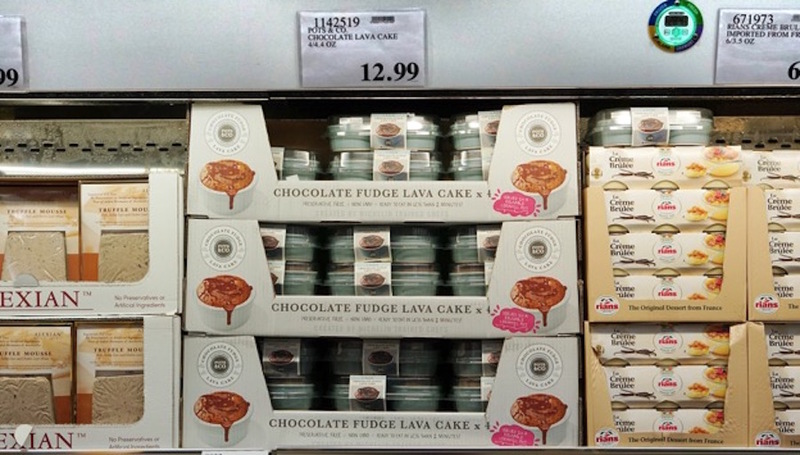 So you can understand my skepticism when I saw the Chocolate Fudge Lava Cake from Pots & Co in the refrigerated section at Costco. Each package is $12.99 and contains 4 ceramic ramekins. At $3.25 per ramekin, including the ramekin, it seems like a steal. Lava cakes at some steakhouses cost around $30! And you do not get to keep the ramekin. It is also pretty easy to make. All you do it unwrap the cakes and place in the oven at 325℉ for 12 minutes. I decided to try it out with friends after some rib roasts and wine. If it turned out right, it would complete a lovely night of decadence and laughter; if it turned out wrong, there would be shattered dreams and disappointment. I took the risk. The minute I opened the oven, I knew something good was about to happen. The aroma of chocolatey goodness that engulfed my face reinforced my love of humanity. I plated the baby-boue ramekins on white plates for effect. They looked quite nice. We dug in. Mmmmmm. Ooey gooey, check. Melty chocolate, check. Chewy dense brownie, check. Warm and decadent, check, check, check. There was no conversation at the table. We were all too busy appreciating the experience. The only improvement I could think of was peanut butter ice cream. 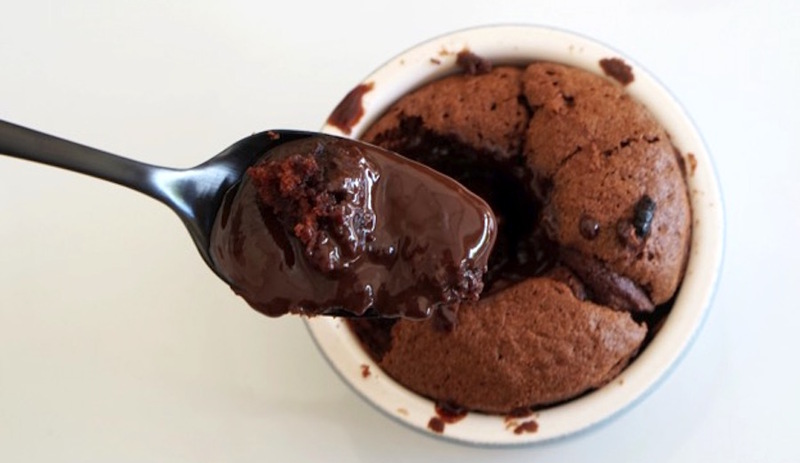 Yes, lava cake ala mode! In terms of presentation, it would have been nice if the cake tops were closed, so that we could open the cake and ooh and aah at the liquid chocolate oozing out. A: It's steakhouse dessert quality! 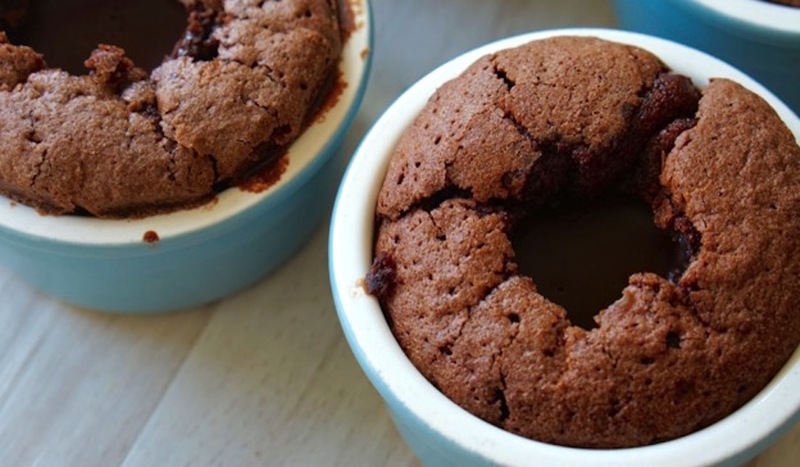 Chocolate lovers, rejoice! And pick up a pint of ice cream when you scoop these babies up.